Apron ties at the waist and loops over the head and around the neck. 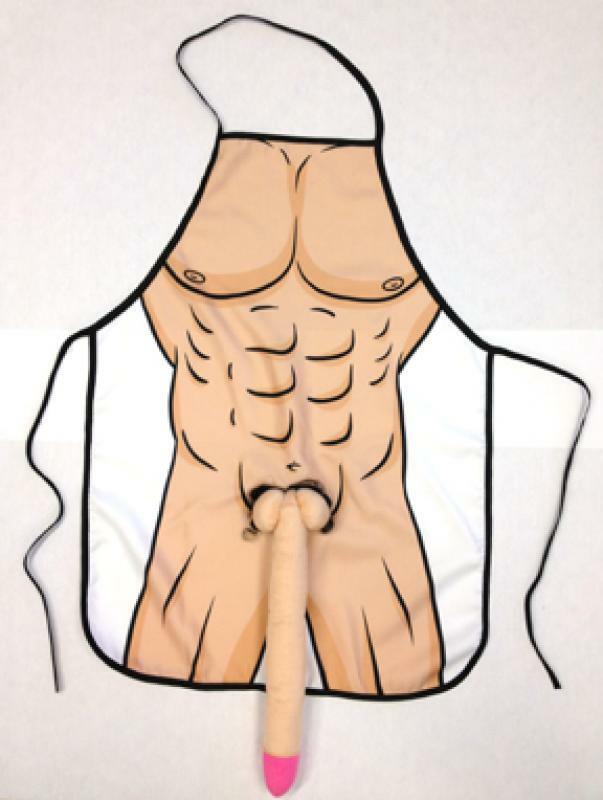 Giant Pecker Apron from Ozze Creations. One size fits most. Risque novelty, adults only. Gag gifts. Always use care when grilling. Never leave a grill unattended.